The Tulsa Roughnecks Never Left Me Hanging! Everyone has watched the video, by now, of the boy left hanging, trying to encourage his favorite team, the Miami heat for a good, but failing effort. This is not the first time a loyal fan has been snubbed by the team he supports. Makes you wonder what sports stars are thinking today? Are they under some delusion that we pay to worship them, instead of to see a game? But let me take you back to a simpler time and place where things were different between a major league sports team and the city that loved and supported it. 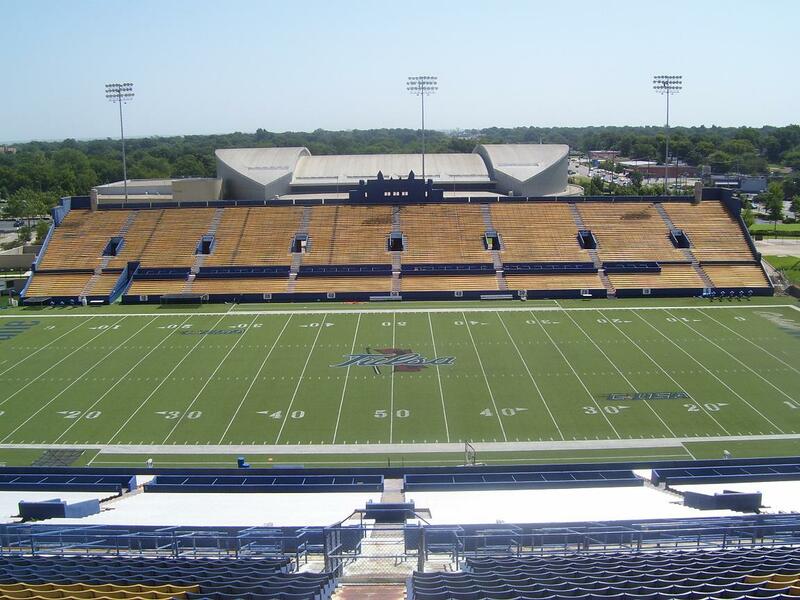 In the late 70s and early 80s there was a major league soccer team, the Tulsa Roughnecks, that played and practiced in Skelly Stadium, on the Tulsa University campus, just a few blocks from my house. Many summer mornings would find my neighbor friends and I walking down to the stadium, into the field, and kick the ball around with each other and even a major league soccer player or two, before their workout-practice began at 10:30am. Once practiced started, we would sit on the field and watch. Once over, we would visit with the players who were always glad to talk to us. They knew us by name. On Mondays the whole team would meet at a Tulsa restaurant, where everyone was welcome to have lunch with them. The Tulsa Roughnecks were Tulsa. The city loved them. Once they lost a playoff series out of town, and were surprised to find hundreds of fans at the airport to greet and congratulate them for their effort, when they returned on a red-eye flight. I remember one player on the news, almost teary eyed, exclaiming with amazement that he had never seen such support after a loss! In 1983 the Roughnecks won the championship. The league was struggling and the team almost financially collapsed, but KRMG radio station held a telethon, and in one day the money poured in to keep the team going. 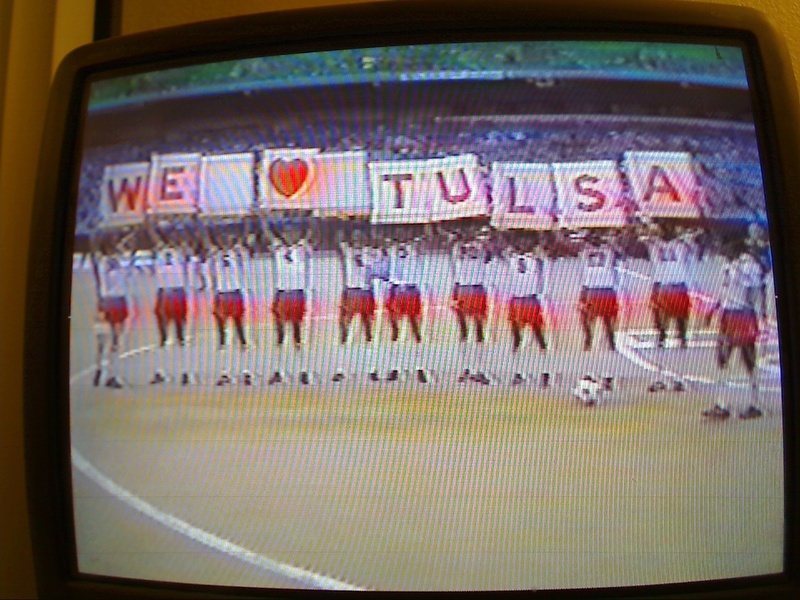 The people of Tulsa loved its team, and the team loved Tulsa. Later I moved to Dallas-Fort Worth, and went to get tickets to a Rangers baseball game. At the stadium ticket booth, in the morning, long before game time, I asked to use the pay phone about a yard behind the ticket booth. I was told I could not do that because it was across a yellow line. Really? In Tulsa I could walk onto the field and talk with the players, but in Texas I could not step across a line to use a phone? Made me think how special my years in Tulsa, as a Roughnecks fan was. Then I realized, no, it was not special. Yes I took it for granted, how friendly, personable and humble the players were, but you know what? It should be taken for granted! That’s right! I don’t care if you are the New York Yankees, Dallas Cowboys or Miami Heat, every player, every team should be friendly, personable and humble. Yes, if a city is going to stand behind its team and support it, it should be taken for granted that the team owes something more to the community than to just let the city pay to worship them. The Tulsa Roughnecks were not the only major league soccer team to show some class. I remember being at a game where Tulsa was playing Giorgio Chinaglia and the New York Cosmos. Chinaglia was the Babe Ruth of Major league American Soccer and the Cosmos were the Yankees of soccer. In the middle of the game, Tommy Ord, of the Roughnecks got a painful leg cramp and was lying on the ground. With no time outs in soccer play continued, and the Cosmos took the ball and attacked the Tulsa goal. Instead of charging down the field with his team, Chinaglia went over to Tommy Ord, lying on the ground in pain, and helped Ord exercise his leg to relieve the cramp! When was the last time you saw something like that in sports? You can easily find pictures on the Internet and videos of Babe Ruth with children, especially in hospitals. Ruth was not perfect, but he understood he was part of a community, and not an idol for people to worship. We ask what has happened to players today to give them the big head, and think they owe nothing to the community except to let people worship them. Wrong question. Where did the community go wrong to give the sports stars the idea that we wanted to worship them instead of see a game? I still have in my possession, a copy of an article, I wrote to the Fort Worth Star Telegram shortly after the 1994-95 Major league baseball strike. Shortly after the strike I called the Texas Rangers ticket office. I was greeted by a recording saying, “baseball is back.” I wrote to the Star-Telegram asking where did baseball go? I knew the Texas Rangers were on strike, but was still quite certain I had still seen baseball on college fields, little league fields and even sand lots. Was major league baseball so arrogant as to believe they were baseball? And that if they were on strike that baseball ceased to exist? Things like that take me back to a time, when I was young and naïve, and took it for granted that all sports heroes were friendly, personable and humble, just like my Tulsa Roughnecks. A couple of years ago, I ran across an article about Alex Skotarek, a long time Roughneck player, coach and GM. I found his number and called him up to see if he remembered me, and my friends watching him practice. He remembered us and our names. We reminisced for a few minutes about those special days in Tulsa with the Roughnecks. After a few minutes, I politely told him I would let him go. He thanked me for calling and told me to call back anytime. I wish the young fan at the Miami Heat game could have had the same experience growing up with major league sports that I had.